There's more to a Farmers' Market than just fruit and veggies. At the Clunes Farmers Market, we feature everything from locally grown greens to delicious fudge, which is one of the reasons that we were featured by Bupa Travel Insurance for being one of Australia's best farmers markets to visit. more about There's more to a Farmers' Market than just fruit and veggies. ..
more about August Update ..
more about July update .. 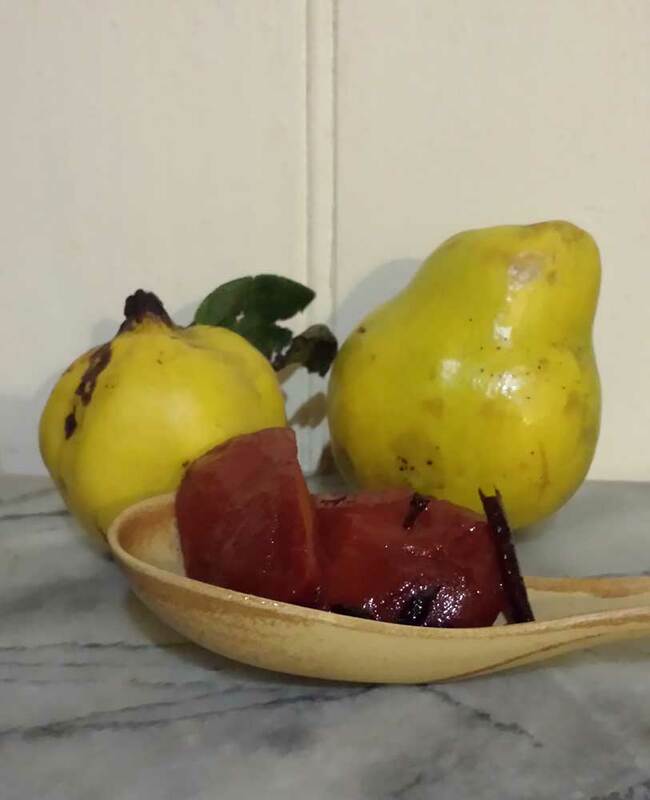 The Clunes Farmers' Market & the Clunes Makers Market are quickly becoming a 'must do' on the second Saturday of each month. These dynamic markets have big plans for the future. more about Heading Toward our First Birthday .. The first Clunes Farmers' Market of 2016 saw a good turnout in warm conditions, with many holidaymakers evident among those attending. more about To Market to Market to Buy a Fat Chicken ..
An overwhelmingly successful first market. Patron numbers were higher than expected with many market stalls selling out of produce early. 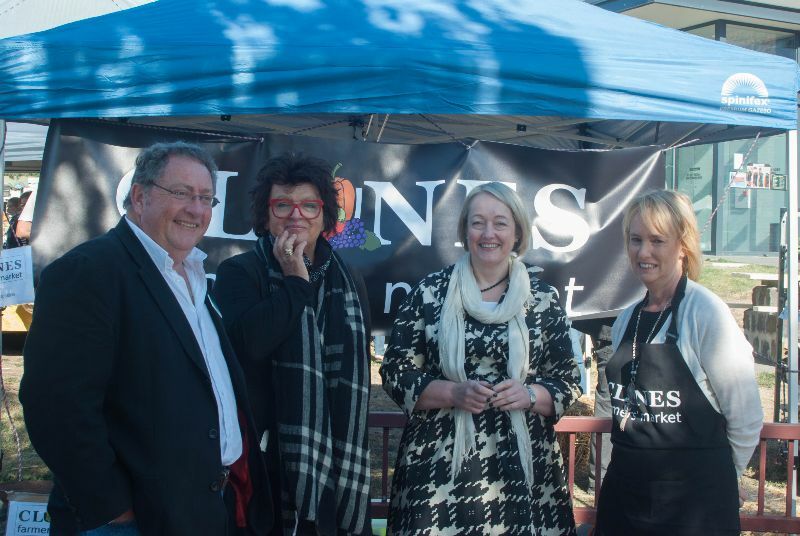 Clunes Farmers' Market was officially opened by Alla Wolf-Tasker AM and Louise Staley PM on 12th April 2015.
more about Inaugural Clunes Farmers Market ..
ANZAC Biscuits are an easy, fun and delicious treat to make with children. A creative way to involve them in the ANZAC legend. 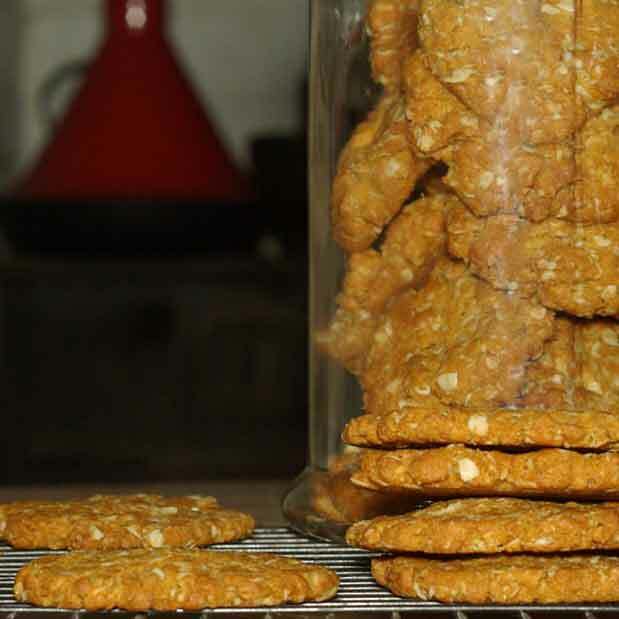 more about ANZAC Biscuits .. Here is a recipe donated by our Committee Member, Jane, for you to make with the fresh, free range eggs purchased at the Clunes Farmers' Market. You'll also find appropriate toppings either in the market or in one of the nearby Clunes stores. more about Pavlova - For Mother's Day ..